Chicago to Los Angeles is a very common route. Los Angeles is one of the most popular ending and/or starting points, therefore you can get good prices traveling to Los Angeles. The price to ship a regular midsize sedan from Chicago to Los Angeles starts at $895. Prices may vary with seasons change. Click HERE for an accurate quote. 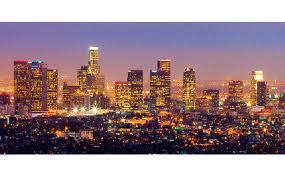 To ship a car from Chicago to Los Angeles simply call (800) 516-3440 and speak with one of our car transport agents.